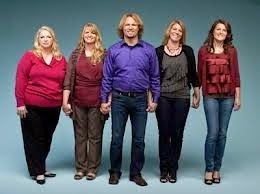 I'm a bit embarrassed to admit it, but I'm a big fan of Sister Wives. I started watching the show after reading an article about Kody Brown and his four wives, and I love to watch them go about their daily lives. And I kind of feel for Kody Brown, having to deal with four wives on a daily basis. I'm a woman myself, but I will admit women can be hard work! In season 1 they all lived together in this big house in Utah, and each wife had her own role to play in the household. There was Christine (3rd wife) who was the stay-at-home-mom, and her opposite Janelle (2nd wife) who was a career woman. Mary (1st wife) worked parttime and Robyn was a single working mother who became the new wife. The show is on its third season now, and the family has moved to Las Vegas. Right now nobody seems to have a job! How do they manage financially? One of the things that everybody is wondering about is how they manage financially. Koby doesn't have a job, and neither do his four wives. From what I understand they get paid by TLC, but still, it must be expensive to maintain four households! Since their move to Vegas they haven't been able to all live together in one big house, so they're paying rent on 4 houses. However they have been approved for a loan, which will enable them to build four houses near each other, so they can live together again. This is where it gets really interesting: one of the four wives, Mary, only has one daughter, who'll be leaving home to go to college. But, Mary insists she wants this really big house with a wet bar, a hobby room, and 5 bed rooms. Her argument is that she would have loved to have more kids, and why should she be punished with a smaller home, when she's already suffering so, because she only has the one child. I don't know what it is, but this really bugs me. Especially since money is tight, and there are three other wives who actually nééd several bedrooms. It's gotten under my skin!